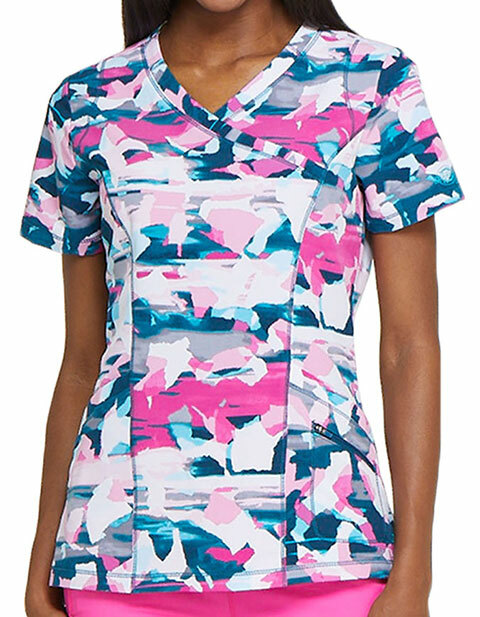 Make an impression with Dickies Women's Mock Wrap Camo Print Scrub Top. The feminine cut paired with functional features makes DK608 an essential for professionals. If you’re worried about storage, you don’t need to. The two front rounded patch pockets with tonal cable routing outlet and zip closure pocket at left makes storage hassle free and convenient.